One-third of 2019 is already gone, how well has your New Year Resolution been working so far? If you are still contemplating your recruitment options for this year, we have a fantastic offer in store for you. 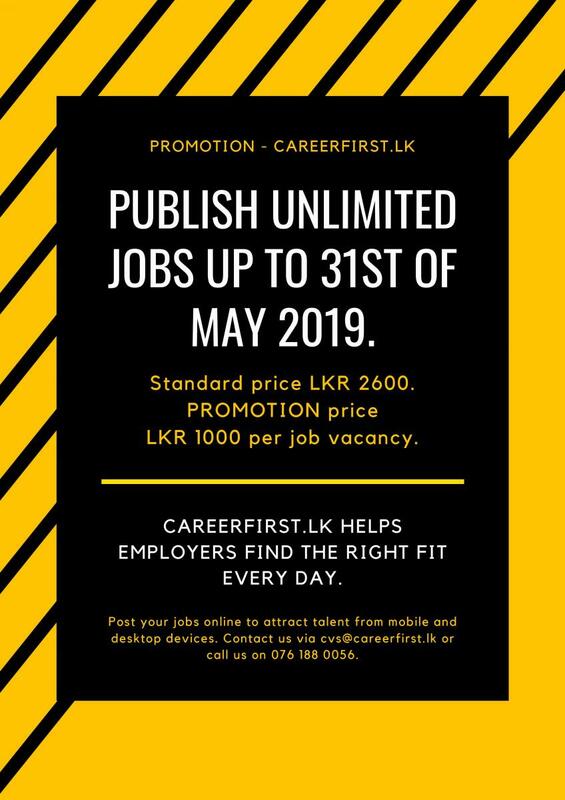 Publish unlimited jobs up to 31st of May 2019. Standard price per job vacancy LKR 2600. PROMOTION price LKR 1000 per job vacancy. Along with this, your jobs will be posted across all our social media platforms. Call us on 076 188 0056 or email us on cvs@careerfirst.lk if you are interested.